The PANpad® terminal application is software that runs on an Ingenico branded terminal device. Ingenico terminals loaded with the PANpad application are considered PCI-certified Point-of-Interaction (POI) devices because they encrypt payment card numbers at point-of-entry using CardSecure. Ingenico PANpad devices are ideal in scenarios where a feature-rich POS terminal is not required. Retail point-of-sale (POS) terminals have incorporated numerous features over time, thus leading to substantial applications on the terminals with significant integration requirements. The essential goal of the PANpad terminal is to offer a simple integration while providing an easy to use application interface. Upon keyed entry of card data or card swipe on the Ingenico PANpad terminal, the card data is sent directly and securely to CardConnect where it is encrypted and tokenized using CardSecure. An intelligent, irreversible token is then transmitted back to the terminal. The token, not the sensitive card data, is used within the POS, removing the POS application from PCI Scope. This drastically reduces the merchant's PCI scope burden by qualifying for the P2PE-HW SAQ. Payment card information is then securely decrypted within the CardSecure vault and is transmitted via Secure Sockets Layer (SSL) to the bank. CardConnect offers the PANpad Dynamic Link Library (DLL) for Windows. This library exposes methods to communicate to the device for retrieving track data and/or tokenization over the serial communication layer. The DLL includes a number of functions, such as a calls to the CardConnect Hosted Tokenization service. Depending on the implementation, this integration method may reduce or eliminate Payment Card Industry Data Security Standard (PCI-DSS) scope for customer systems and applications. The CCPanPad.dll can be used to interface with Ingenico terminals (iSC250, iPP320) that run the PANpad application issued by CardConnect. It allows developers to easily integrate their .NET applications with the CardConnect provided ingenico devices and CardSecure to tokenize credit and debit cards. Please visit the PANpad Device Integration Guide on the CardConnect Developer Center for technical details on the CCPANPad.dll API. CardConnect Desktop Tokenizer vR48 – The Desktop Tokenizer provides a demonstration of tokenization. It can also be helpful debugging physical connections to terminal devices. Token Demo – Project code for a sample tokenization application using a terminal device. TokenDemoRun – Prebuilt Windows Console Executable version of the TokenDemo program. The .NET project code for this application is found under the TokenDemo folder. The TokenDemoRun provides basic PANPad functionality using CCPanpad.dll version R48. This section provides details on installing and configuring the PANpad USB Device on Windows-based workstations. Once downloaded, double-click the file to run the Installation Wizard. On the "Welcome" screen, click Next to begin the installation process. To install the driver to a specific location on your workstation, click Browse and choose the location. 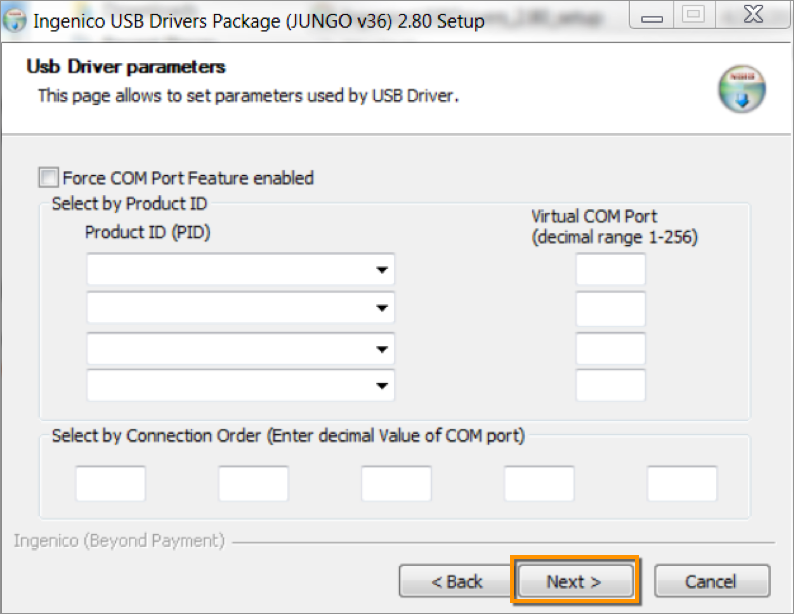 Bypass the "Usb Driver parameters" screen by clicking Next. 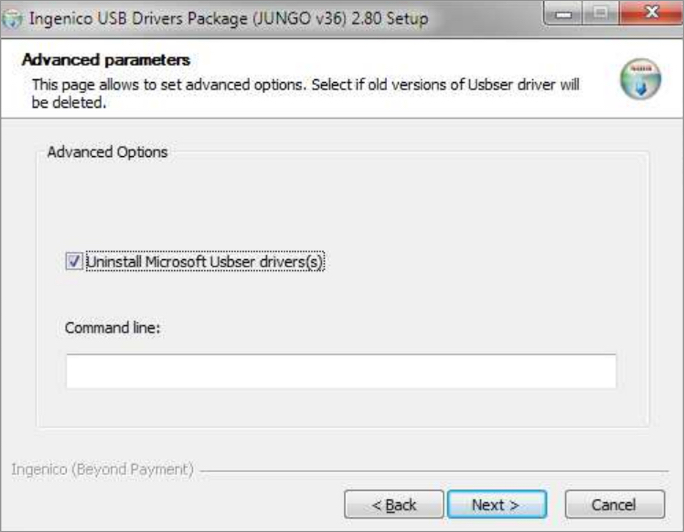 If you wish to uninstall an old version of the Microsoft USB Driver (Usbser), then click the box next to this option. If you do not wish to uninstall the driver, leave the box unchecked. 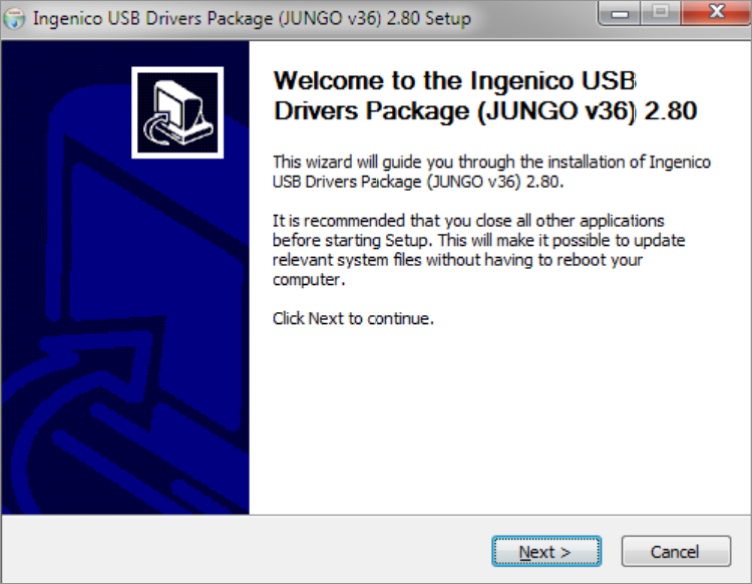 You are now ready to connect the Ingenico PANpad device to your workstation. Connect the Ingenico AC/DC adapter to the USB cable by plugging the RCA end of power adapter into the USB cable. Plug the AC/DC Adapter into an available 120V AC outlet. Attach the USB cable to the device by plugging the HDMI end (opposite the USB end) into the jack located under the device. Connect the USB cable into an available USB port on your workstation. Do not attach the device to a USB hub. From the Windows Start menu, type "Device Manager" and select it from the search results. 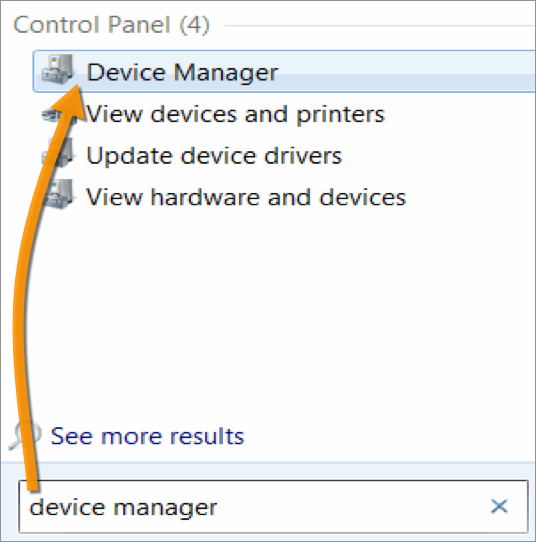 You can also access the Device Manager by navigating to the Windows Control Panel and selecting it from the list. In the Device Manager, click the Ports heading to display a list of connected devices. The Ingenico device displays as "Sagem Telium Comm Port" and in this example, it is assigned to the "COM7" port. Note: Some versions of Windows versions may not display the COM Port setting as noted above. If this applies to your version of Windows, please follow the steps below to confirm the device's COM Port assignment. Navigate to the Windows Control Panel and open the Device Manager. In the Device Manager, click the Ports heading to display a list of connected devices. The Ingenico device displays as "Sagem Telium Comm Port." 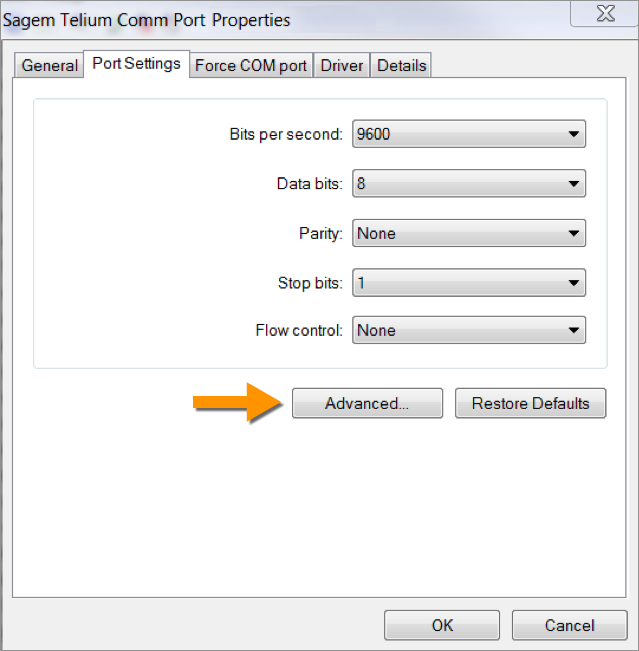 Right-click Sagem Telium Comm Port and select Properties from the sub-menu. Within "Sagem Telium Comm Port Properties" pop-up, select the Port Settings tab and then proceed to click the Advanced button. Locate the "COM Port Number" field at the bottom of the "Advanced Settings" menu to identify the COM port that is assigned to the device. 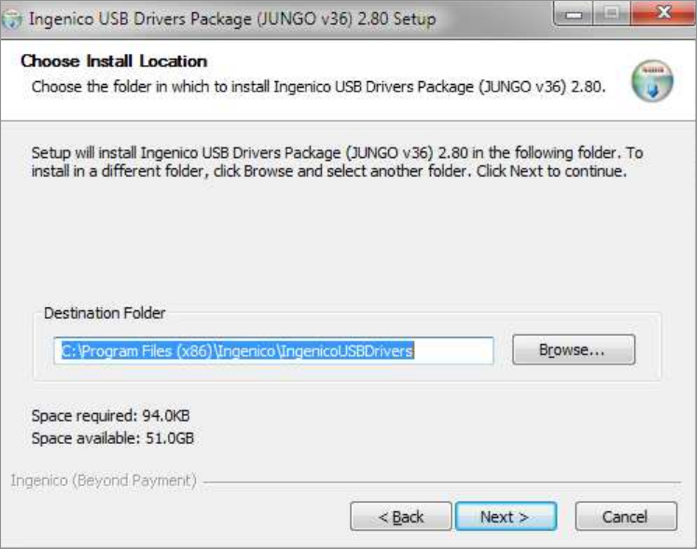 The Ingenico Jungo Telium USB Driver is required for USB connected devices. Click the link below to download a .zip file that contains the drivers.